First, I’d like to say Happy Father’s Day to all the Father’s out there and I hope you all enjoyed the weekend. Now, let’s review how the Wesley Chapel housing market performed in May 2018. In May 2018, Wesley Chapel home sales rose 6% compared to May 2017 as 184 homes sold, 10 more than May a year ago. The 184 sold homes were 50 homes or 37% more than sold in April of 2018. The number of homes for sale (583) decreased 7%, as 42 fewer homes were for sale than in May 2017. 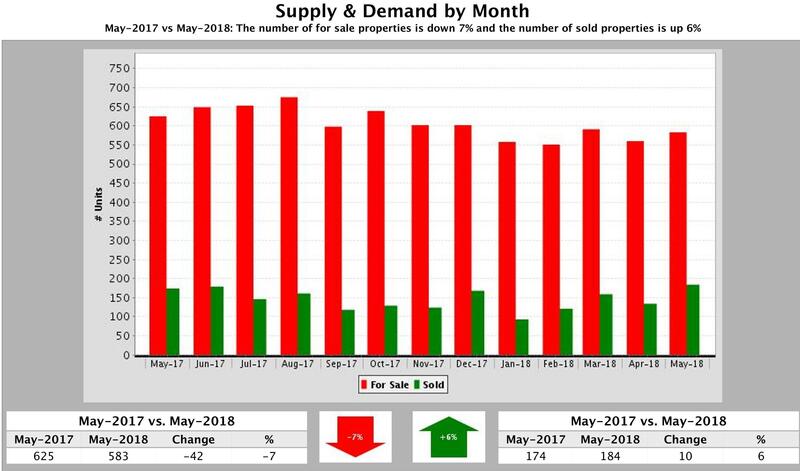 The May total also was 26 (4.6%) more homes for sale than in April 2018. However, 229 New Homes came onto the market, 8 more than a year ago in May. That’s a 4% rise. 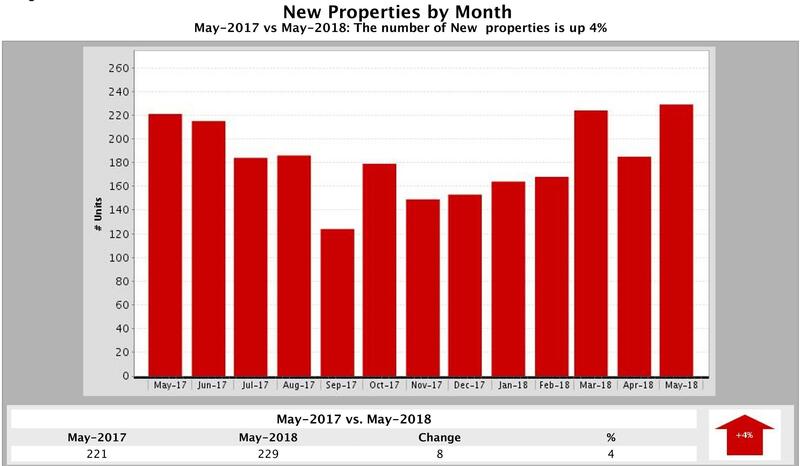 By comparison, 186 New Homes were listed for sale in April 2018. 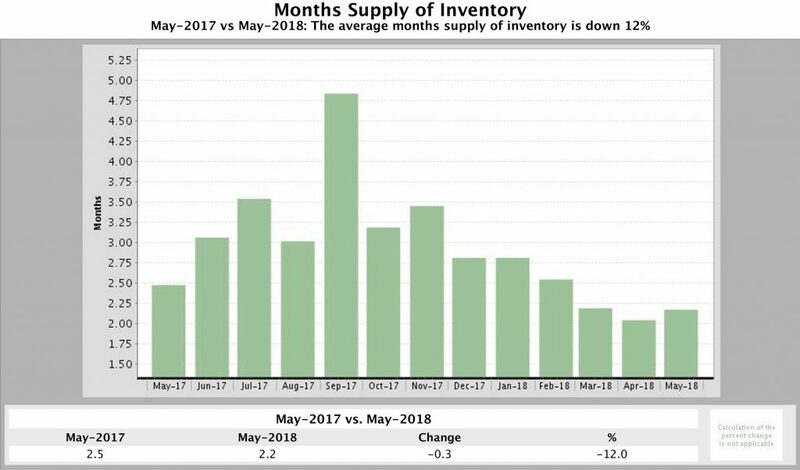 Months Supply of Inventory dropped 12% compared to May 2017, declining from 2.5 months to 2.2 months. In April 2018, this metric, which shows how long it will take the current supply of homes to be depleted if homes sell at their current pace, stood at 1.9 months. 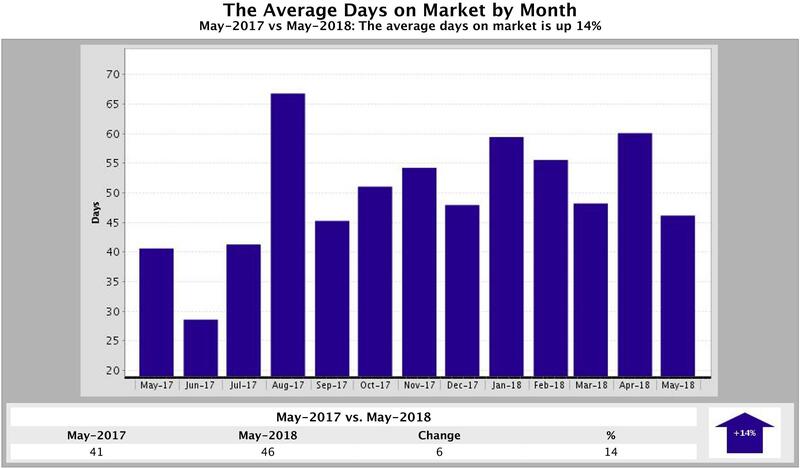 On average homes stayed on the market 5 days longer (46 days vs. 41 days) than May 2017 and 12 days less than last month. Median Sold Price (the price half the homes sold for) rose $20,240 or 8%. 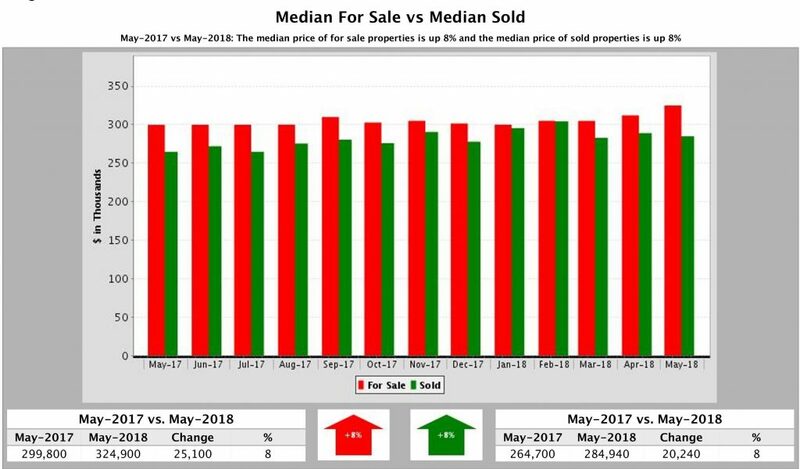 In May 2018, the Median Sold Price was $284,940 for Wesley Chapel, while in May 2017 it was $264,700. Last month, The Median Sold Price was $288,995, 1.4% lower. The Median For Sale Price of homes increased 8% or $25,100, from $299,800 (May 2017) to $324,900 (May 2018). Last month, the Median For Sale Price was lower at $311, 204. The Wesley Chapel housing market favors the sellers, but buyers remain motivated, knowing that mortgage rates will likely increase. This means now is still a better time to buy than later. The major obstacle buyers face is the lack of homes for sale. But this is great news if you plan to sell your home in the near future. The key is to do so as soon as possible so you can reap the benefit of buyers who want to buy sooner rather than later. Wesley Chapel is being transformed into a sportslovers’ paradise. 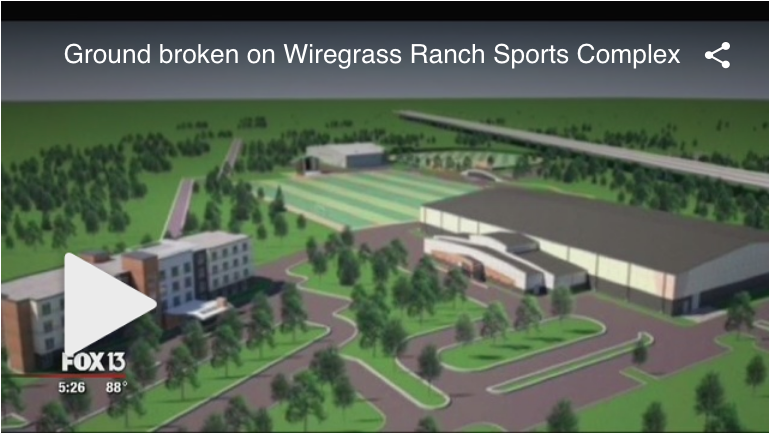 On Thursday, Pasco County broke ground on a $44 million project called Wiregrass Ranch Sports Complex that is expected to draw high-level athletes from across the country to compete. Plans for the complex include a 100,000 square-foot gym to be used for basketball, volleyball, dance, martial arts, cheerleading, and other competitions. It will also have five fields and an amphitheater for concerts and seminars. “We are becoming known as a sports tourism destination and this just takes it to the next level,” said Moore. Upgrading your landscaping or curb appeal helps get buyers in the door. 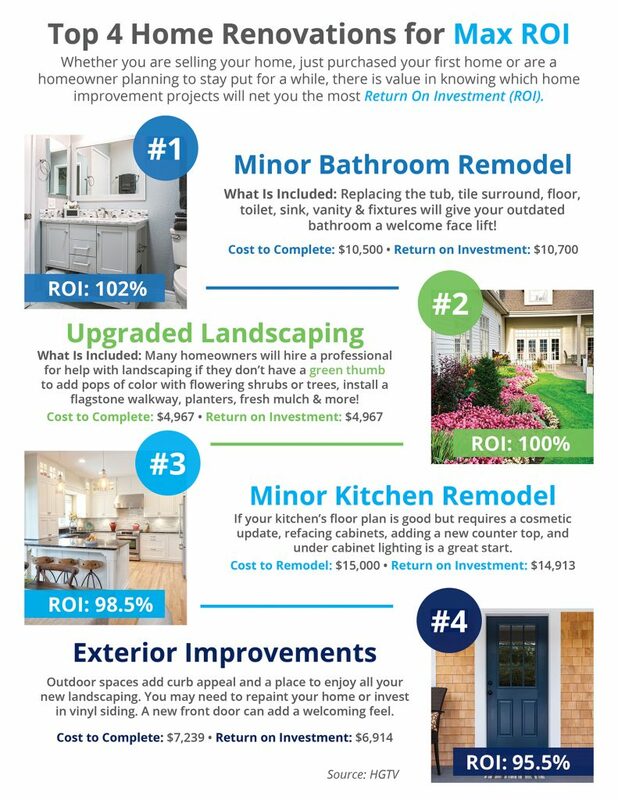 These upgrades rank as the 2nd and 4threnovations for returns on investment. If you’re a Millennial like I am, chances are you’re in the market to purchase your first home. It’s exciting! But since it’s most likely the largest purchase you’ve ever made, it can quickly turn into a nerve-racking endeavor. Having just completed a transaction, I found that following these guidelines can ensure a smooth process. Every homebuyer’s experience will be different because of a number of variables such as what state you live in and the condition of the housing market there. But here are some basic guidelines to see you through the process. Maximize your down payment. Put 20 percent down, and you’ll typically avoid paying Private Mortgage Insurance. PMI lowers the risk to the lender making the loan. 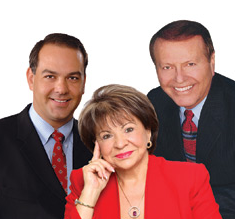 It protects the lender, not you, in the event that you fall behind on your payments. While many lenders now have programs for first-time homebuyers that require as little as 3 percent down, if you don’t meet the 20 percent down payment, you’ll most likely have to make monthly PMI payments. Check your credit score. Your credit score is a key factor in determining whether you’ll be approved for a mortgage and the interest rate you’ll be charged. Calculate how much home you can afford. Play with online mortgage calculators to determine your price range. Keep in mind that some calculators only show the monthly principle and interest. They don’t include property taxes and homeowners insurance that are usually combined with your monthly payment. Get pre-qualified before you start shopping. This gives you an estimate of the loan amount a lender will likely be willing to approve for the purchase of your home. 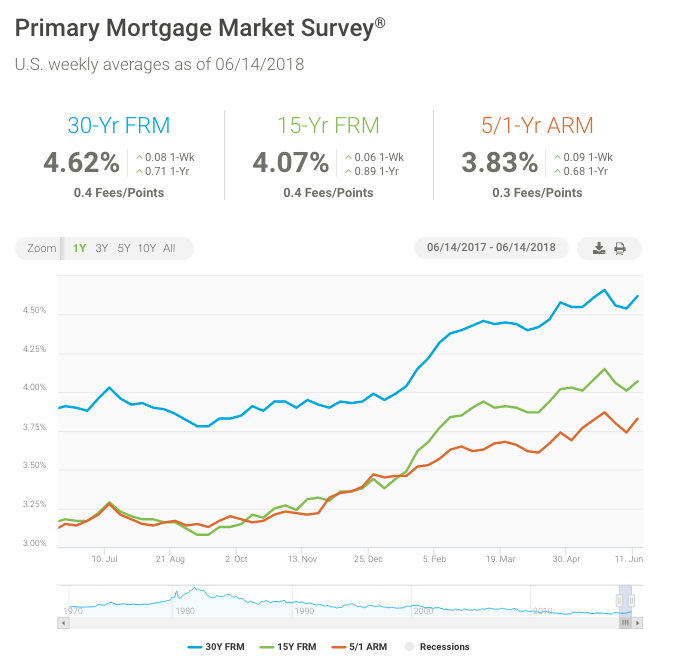 After declining for two straight weeks, mortgage rates reversed direction this week and rose to their second highest level this year.